Kay was a large guitar manufacturer in the US in their own right (one of the largest) in the 50s and early 60s. 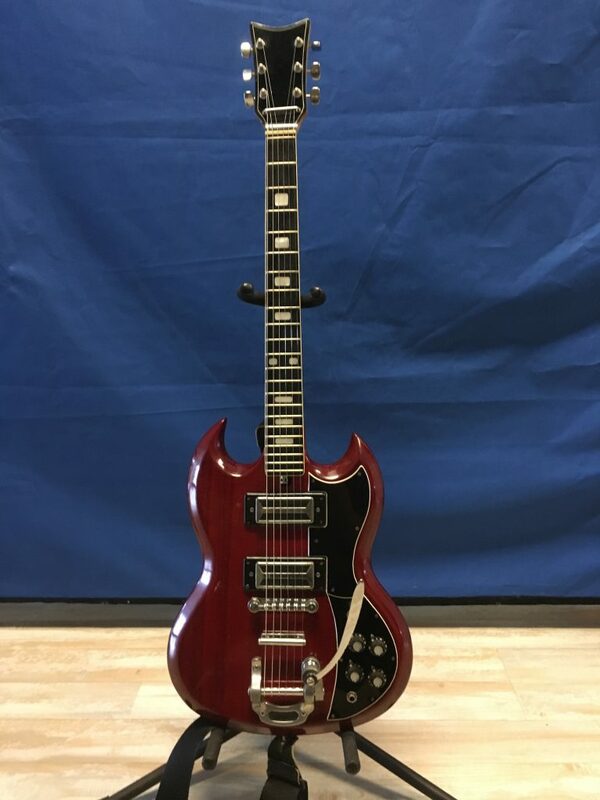 Then in the late sixties and seventies, they became a brand importing Japanese-made American guitar knock-offs. 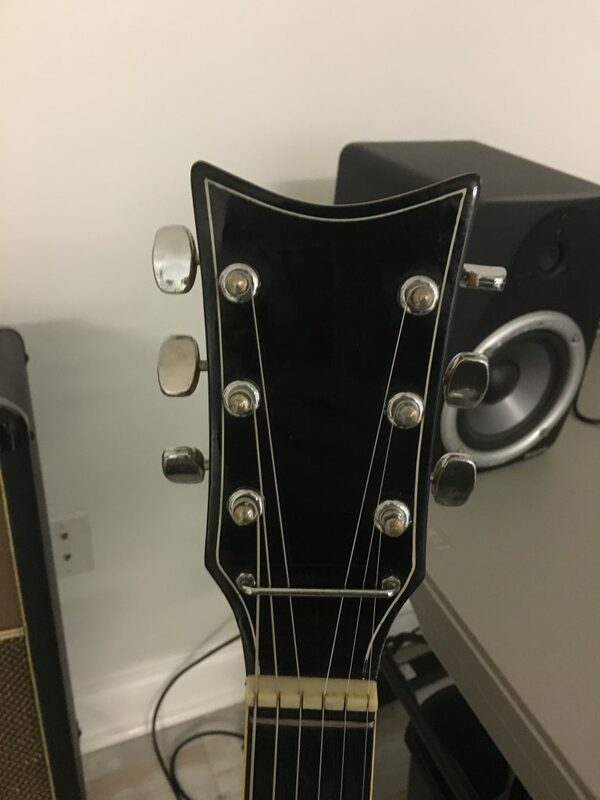 The Japanese guitar makers started with making their own distinct guitars, and then by the seventies, Japanese manufacturers were making excellent copies of Les Pauls, SGs, and more. Later they would become complete copies (where you couldn’t really tell them from the American made Gibsons from sight). 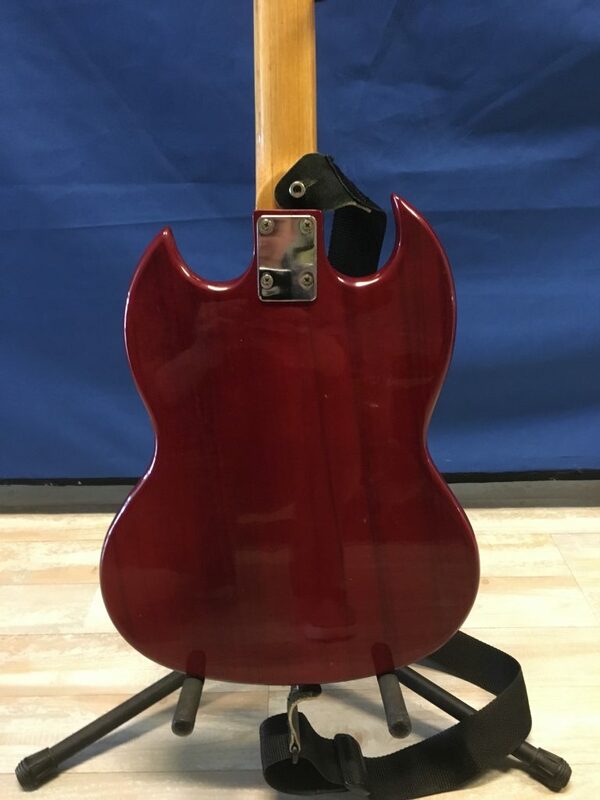 So, you lose the authenticity and cool factor of Japanese guitars as you progress through the 70s, but the overall quality (and consistency) of the guitars improves. So, it’s kind of a trade off. 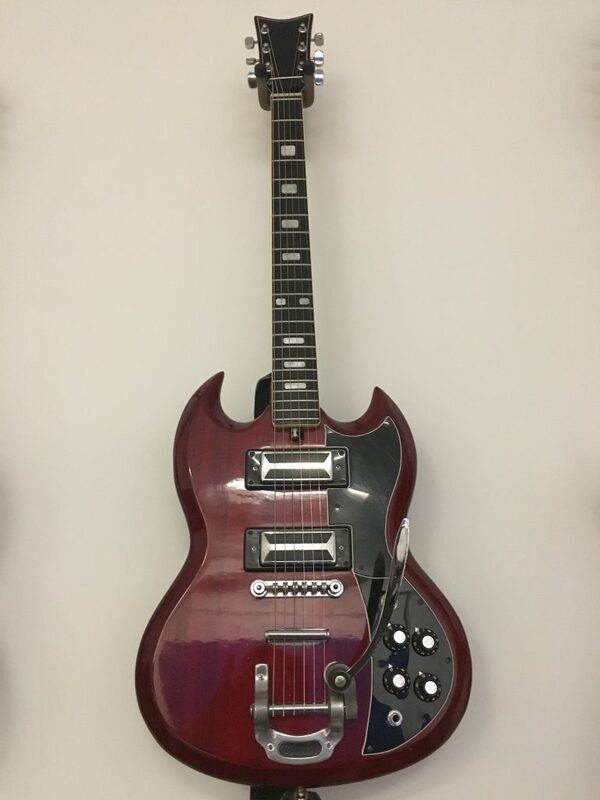 If you want a more unique and sounding Japanese guitar, then look at mid and early sixties. 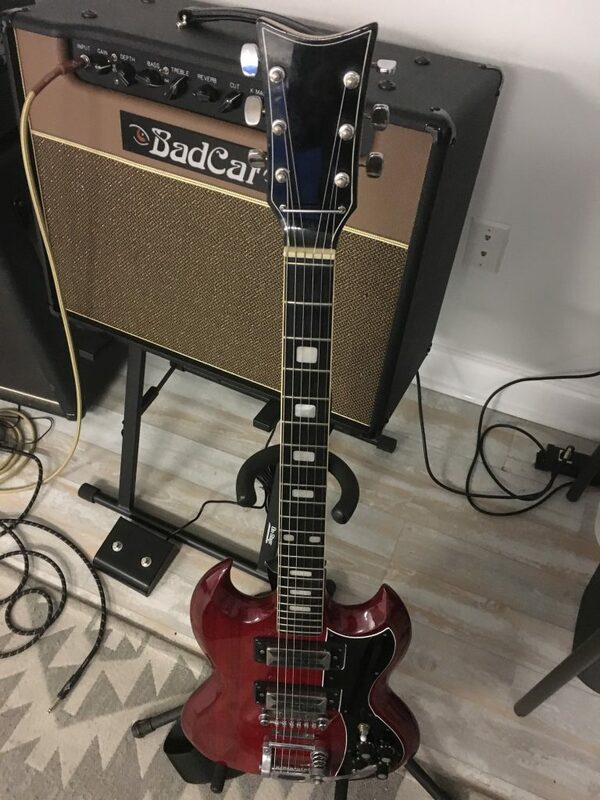 If you want a guarantee that it is a better and more consistent playing guitar, then look at the 70s and 80s (but they’re all going to be knock-offs). This guitar is an in-between-er. 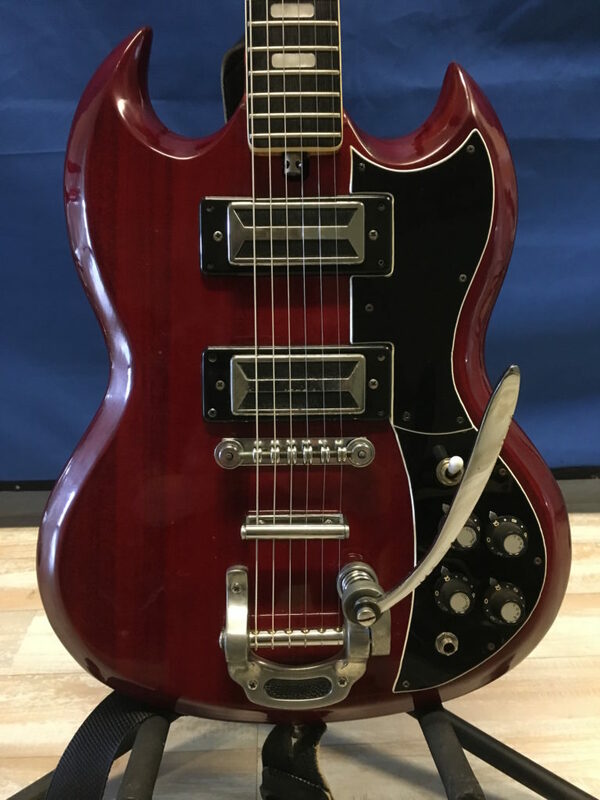 It still has the old-school-cool aspects of the 60s Japanese guitars – just look at the pickups and the headstock. It’s in great shape. I’d rate it excellent. A few frets were buzzing / deadened when we got it. We did a little leveling and set up and got that taken care of, so there is no deadness and no buzzing to speak of. Plays great. Sounds great. Looks freakin awesome.